Over the years now while working with the Rapid Moving Water & Direct Sunlight Reflection Method of Instrumental Trans-Dimensional Communication. 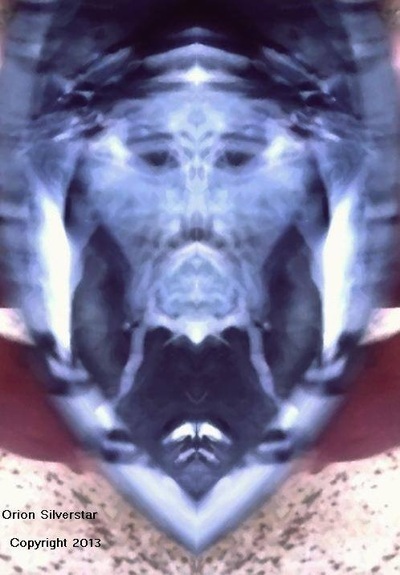 I have received many images that have come through as half faces or distorted faces. I have my reasons as to why this is and also may have the solution to change this, however at this point in time I do not have the funding to achieve this. Sometime ago I was introduced to a software program that makes images and objects Symmetric and for those that do not know much about Symmetric`s, it is creating the mirror image of an object. So now for the first time I was able to take the many half faces I have and turn them into full faces creating the exact same half face on the otherside of the face. There have been many others that have used the Symmetric Software before me to bring about mirror images with tree`s, plants, objects, you name it. Most of these creations have made for some wonderful works of art and that is what I believe they have achieved, works of art. However I believe that I was the first to use Symmetric Software combined with the Rapid Moving Water and Direct Sunlight Reflection Method of Instrumental Trans-Dimensional Communication, with some very interesting results. 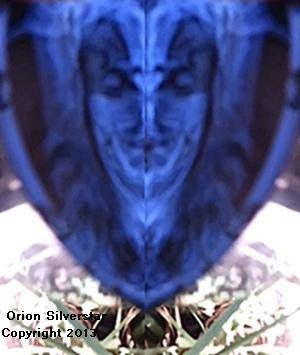 Through the use of the Symmetric Software I came to realize that not all the half faces that came through in the Rapid Moving Water and Direct Sunlight Method of Instrumental Trans-Dimensional Communication could be transformed into full faces. Some of the images and half faces that had come through where on an angle or not looking directly straight ahead. If I was to use the Symmetric Software on these types of faces then the whole face would be out of proportion to how it was really meant to be. Then this would give an unrealistic image of how the communicators were trying to show through. I had to be very careful as to not allow this type of thing to take place and often if I was to publish a photo of this nature, I would post the original half face along with the Symmetric version. They the communicators would often tell me that it was not a fault on their count, for the half faces and distorted faces that came through. But it was in fact a problem at our end and that they were projecting a perfect image each time. That it was not by chance or a random event, but a deliberate act of communication to us on their part. 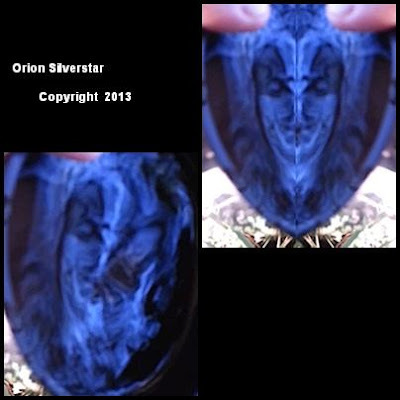 The below photo`s are an example of the original half face that came through from the communicators and the Symmetric photo version. 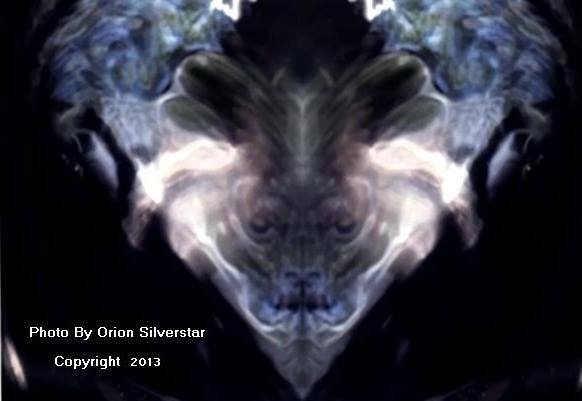 This image I was told is a Totem of one of the Solar Entities, if you look closely at the image you will see down the bottom on both sides what looks like symbolic rays from the sun which also confirm this. The next photo`s I wish to show below are of an original photo that came through from the communicators and also the Symmetric photo. Once the image was put together through Symmetric Software again something very interesting can be seen here. If you look closely at the image you can see an image of a figure with their arms and legs out stretched. This reminds me of the "The Vitruvian Man" which is a famous drawing by Leonardo Da Vinci made in 1940 which I have also featured in the below photo`s. It maybe interesting to know that Leonardo`s drawing was reflecting the use of proportions and Symmetry of the human body as a symbol of perfection and harmony. Leonardo`s drawing of course means a lot more than just this and in order to learn more it would help to do more research into this subject which is not what this article is all about. Also if you study this Symmetric Instrumental Trans-Dimensional Communication image of mine you will see that instead of a human with his arms and legs stretched out, there is in fact another Entity or Alien type being in place of the human. Also the over all photo seems to show a man with a full long beard and his Third Eye/Pineal Gland is marked very clearly. Also can be seen is that this long bearded man is holding his hands up to his forehead as if focusing or visualizing on something. The symbolism here is not by chance as nothing ever is by chance and everything has a reason. The communicators are communicating a message to us here through symbolism and imagery in a hope that we may understand it`s meaning. We as the human race have to become connected or plugged in to the universal energy that is all around us, we must become part of it as much as it part of us. The Pineal Glad has sometimes been called "The Seat Of God" as it is at this point were Telepathic communication takes place between us and these higher powers that be. The photo below is of Leonardo Da Vinci`s drawing "The Vitruvian Man" so you can see the similar symbolism here. 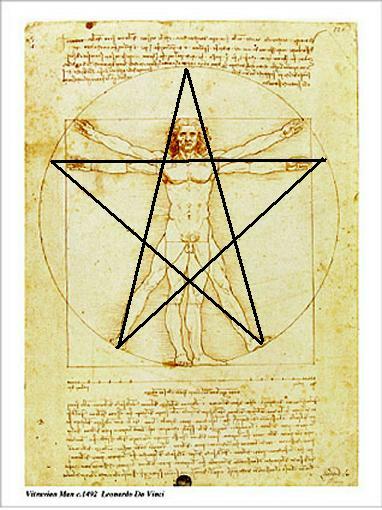 Another study that you would find helpful in relation to this is the ancient meanings behind the Pentagram. Since ancient times there have been many a Grimoire, Spell Book, Book Of Shadows and Light or what ever you wish to call it. They have been connected with Evocation and Invocation of the higher spiritual powers, Divine beings and Entities through different rituals and Magickal ceremonies. One such Grimoire is the ancient Goetia Grimiores of Solomon, King Solomon evoked many Entities to help him with different tasks. Some of these Entities wished something back in return and some did not. These where the very same beings and Entities that brought great knowledge to the ancient people. One of the Entities that is written in the Goetia Grimiores of Solomon is called "Beelzebub" which is also Baal. Beelzebub is a very powerful spiritual being with many other legions of Entities under this being. This being is often called "Lord Of The Flies" which really is meant to be "Lord Of All That Flies", the Great Prince Of The Air. When Beelzebub was honored in ancient times, this being had power over the weather and meteorology. Even though Beelzebub was visible to King Solomon, the only images we have through time are artists drawings and sketches. Now through the advancement of technology and Instrumental Trans-Dimensional Communication, plus Symmetric Software, a few years back Beelzebub reviled images to me. As far as I know you will never see images like this anywhere else on the internet as all are drawings or sketches. Below is the full photo of what I received through combining the Rapid Moving Water and Direct Sunlight Reflection Method of Instrumental Trans-Dimensional Communication with Symmetric Software. The next photo is all of the images seen from within the main photo separated to make it more easier to see. In the ancient Grimiore of King Solomon it is said that sometimes Beelzebub would show as a fire breathing Dragon. In these photo`s one of the images Beelzebub sent was what seems to resemble the face of a Lion or you could say, Dragon ( it is interesting to note also that the Lion or star sign Leo represent the element of Fire/Solar energy). Also here in these photo`s is the sketch from the Goetia Grimiore of a fly, plus the image that was shown to me in the main Symmetric photo of a fly taken from the perspective of looking downwards on it. My photo also shows double wings on the fly just as the sketch in the Goetic Grimiore. 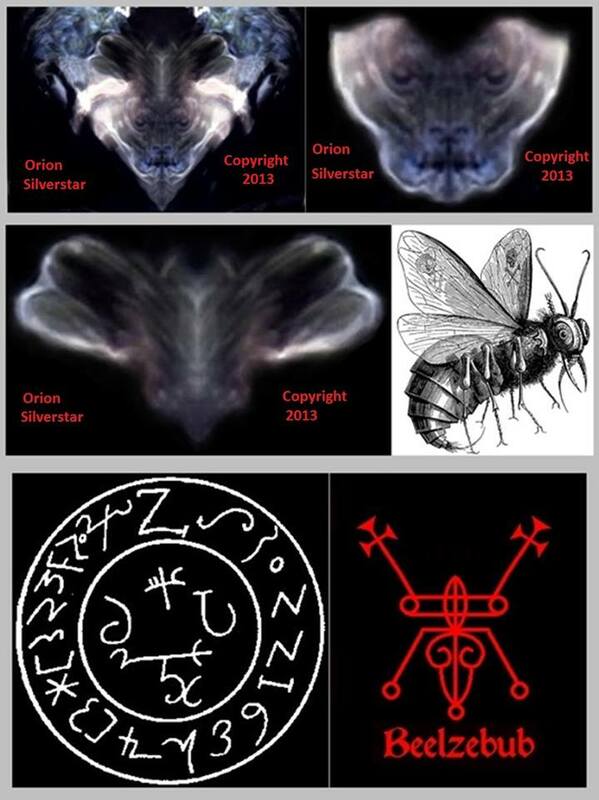 As well as this I decided to include the Talisman of Beelzebub and also the Sigil of Beelzebub which I think just happens to look like a fly if you where to look down upon it. Just out of interest I also wish to add here that all these images I have posted here are in some way connected to the element of Fire/Solar energy. The Totem image that I featured at the top of this article has symbolic rays coming out of the sides of it at the bottom. The man with the long beard image has all the elements relating to it and one of them is Fire as it is connected to the Pentagram. The images of Beelzebub, the Lion or Dragon is related to the element of Fire and in fact the Fly is said to be a Solar insect which would mean that the fly is symbolic for Solar Energy. Not only this but the word Solomon if broken down into two words as this is how we can find true meanings to some words, would be Sol-Omon. Sol is the name of a Solar God/Entity from ancient times and I believe Omon is really Amen or Amon - Ra another Solar God/Entity, so it would be Sol-Amon-Ra. It also just so happens that all of these Instrumental Trans-Dimensional Communication images I have received here where a result of Direct Sunlight Reflection on Moving Water. Thanks for taking the time to read through this article and I hope that you found it interesting. If you have any questions relating to this article or just want to let me know what you thought about this article. 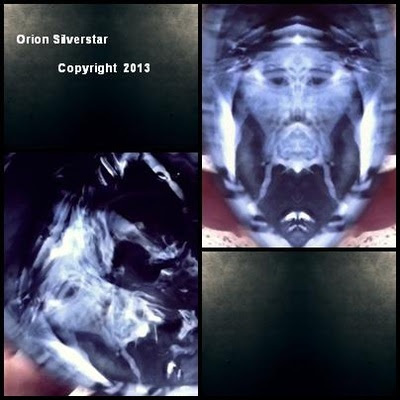 Please let me know thanks by commenting here at the bottom (C) Orion Silverstar.